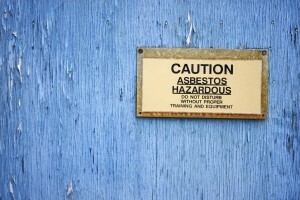 Are you wondering if your Los Angeles CA property contains asbestos? Wonder no more – just call Los Angeles’ asbestos inspection experts – H2 Environmental Consulting Services at (800) 524-3578 for a thorough evaluation of your property. There are many areas where asbestos may be found in your Los Angeles CA property, particularly if it was constructed before the 1970s. Before then, asbestos was used in just about every building because of its fire-resistant and insulating properties. But then scientific studies concluded that exposure to asbestos lead to debilitating diseases such as mesothelioma and lung cancer. Symptoms of these serious diseases may not appear for decades after exposure, so limiting your contact with asbestos is absolutely essential. Now asbestos is banned in residential and commercial properties, but it can still be found in many older properties that were never properly decontaminated. Asbestos can be found in many areas of residential and commercial properties throughout Los Angeles and the entire US, and you can trust that even if there’s a tiny bit of asbestos on your property, we’ll find it. We use state-of-the-art technological tools to analyze every molecule of properties to determine whether it contains asbestos or other common contaminants such as lead, mold, and fungus. If you’re planning on making any renovations or repairs in your home, you must call H2 Environmental Consulting Services at (800) 524-3578 before you begin. If you start breaking down anything in your home that contains asbestos, you’ll release the fibers into the air, which will eventually be inhaled by anyone nearby. Don’t risk it – call H2 Environmental Consulting Services at (800) 524-3578 for an asbestos inspection of your Los Angeles CA property first. You’ll be so glad you did! We’ll determine the areas of asbestos contamination in your property ASAP so you can move along with your plans immediately. Rely on the asbestos inspection experts that so many Los Angeles CA residents have relied on over the years. You can count on us to work efficiently and meticulously so that when we’re done, you can breathe easy at all times in your Los Angeles CA property. We’re the best asbestos inspection and removal company in Los Angeles CA, so if asbestos is on your property, we’ll find it and eradicate completely. You’ll be able to move forward with your renovation, sale, or any other plans you may have with perfect confidence. Schedule your asbestos inspection in Los Angeles CA right now by calling (800) 524-3578. Our staff is always happy to answer your questions and will strive to exceed your expectations at all times. Count on us for all your asbestos inspection and removal needs in Los Angeles CA!